Ray Estep is currently Managing Director of RJE Partners, an advisory and consulting firm focused on achieving company and investor goals for initiatives that are within +/- 2 years of a transaction. His background includes CFO and M&A roles resulting in successful growth and exit of 4 small-middle market companies, growth and expansion of global leading companies and deal closings in excess of $1B as an advisor. Ray has led company growth and advised on strategic initiatives for more than 25 years in technology enabled services, retail solutions and channel supply chain, and media & entertainment. Ray has a background as an operating executive with 2 privately backed, high growth technology driven companies that were successfully exited. Most recently as a management executive with Softcard, a mobile payments and loyalty solutions company for retail brands and banks, Ray was responsible for creating gains in scale and process efficiencies as well as driving strategic sales initiatives that helped position the company for successful exit to Google, at which time the Softcard solution was relaunched by Google as Google Pay to compete with Apple Pay. As co-founder, Board Member and CFO for media and entertainment company CMC International Records, a company backed by strategic capital from Bertelsmann/BMG Entertainment along with some other selective private capital, Ray led fund raising efforts securing 3 rounds of funding and established a $40M operation in 4 years at which time was sold to Sanctuary Entertainment Ltd. of the U.K., the world’s largest independent music management company. 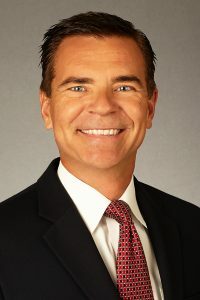 Previously Ray was CFO for a leading middle market retail supply chain and logistics unit at ATC Logistics and Electronics, where he focused on driving both top and bottom lines, achieving industry best EBITDA results, securing more than $1B in new business and driving 18 sequential quarters of revenue growth during the devastating recession of 2007-2010. The company then sold at greater than 8x multiple and is now owned by Fedex representing the Fedex Supply Chain brand. Prior, Ray was CFO for an industry first, multimedia mobile devices and services division for Nokia in South and Central America where he led investment in product R&D, drove performance management, process improvement, global logistics and delivery solutions, commercializing innovative product categories resulting in market share leadership in the region. Ray began his career with PwC’s (Coopers & Lybrand) consulting unit as Senior Consultant in the International Privatization and M&A practice. He led programs advising and conducting due diligence for debt and equity sponsors of global infrastructure sector targets. During his tenure with the group, more than $1B in transaction value was closed that privatized state-owned entities from local government control and ownership which led to creation of capital markets in developing nations. Ray holds an MBA in Finance and International Business from the Smith School of Business, University of Maryland. He currently resides in Dallas, Texas, and is an accomplished musician and drummer.